There's just something about having bits of real greenery throughout your home during the Christmas season that feels extra festive. 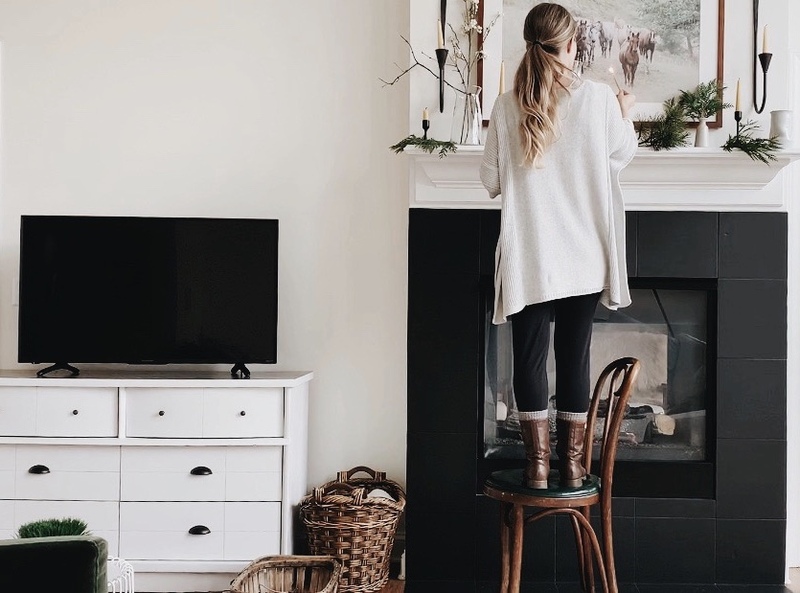 I used to only use fake garland and fake wreaths during my first years of marriage, but I noticed that every time I saw a photo of a mantle that made me smile, it always had the real stuff scattered about on it. That realization started my love for foraging for greenery. I remember the first year I wanted a real tree. Mark went out into the timber and brought back a true Charlie Brown tree with wild (poisonous) berries on it and branches that would slice your finger right open. It smelled terrible and I'm not sure why we even kept it, but we did. I decorated that thing and it sat in our dining room, which doubled as our school room, at the time. We've upgraded since then, and only get our trees from a tree farm and our garland usually comes from a local store (make sure to check the Black Friday ads.... I have always gotten a steal on that day). I do still like to find little bits of greenery around our home, though. It's fun to layer spruce upon spruce and make it so it has lots of movement and texture. If you're wondering about the mess... it all depends on what you get. Do a little bit of research and you will find the best kind that fits your needs. I love firs, and even though they drop needles, I don't care one bit. I simply dust bust and it's like new. If you spray your greenery with a spray bottle periodically, it will extend the life of your live decor. So, here is the final product. It isn't Christmas yet, so I didn't want to make it too festive just yet, but that will be coming soon. :) I don't do much seasonal decorating, but Christmas and winter just bring it out in me. If you are needing a free way to spruce up your mantle... head outside with a basket and some clippers. It doesn't take much to dress things up. P.S. If you live in a place where you don't have any access to greenery out your back door, then visit your local Lowe's and see if they'll let you take the clippings from their trees. I have done that for several years and they have always allowed me to load up my car with any of the branches that they trimmed off.